The level of international freight activity is set to increase, and even local routes, such as shipping from Australia to New Zealand will be impacted by this. There may have been some changes in the international political landscape with comments being made about introducing trade restrictions and calls for protectionism being used for short-term political gain. However, the reality is that international trade is growing and it is going to continue to keep growing for many more years. It is an exciting period in trade activity. There is now effective access to many more markets. The movements of goods have truly become global and there is more and more opportunity for businesses to take advantage of this. During this expansion of activity, there are going to be processes of adaptation and adjustment for many industries. Suppliers will be looking for the most effective ways to get their goods to their buyers, reducing costs while ensuring reliability and timeliness of delivery. It is becoming a highly competitive environment and freight forwarders are looking for any advantage they are able to find in the marketplace to ensure that their clients receive the services they need. One of the areas where there is going to be a substantial shift is in the digitisation of the marketplace. With the widespread use of hand-held digital technology, there has been a rapid increase in familiarity with digital communications and systems. This is already a normal part of operations in more developed countries, and it is now commonly used for shipping from Australia to New Zealand. But it is also starting to spread more into the developing world as well. However, there is still plenty of room for development in all markets and digital solutions will play a very important role in coming years. The more traditional model for activity has been for businesses who trade internationally to rely on the services of freight forwarders to act as intermediaries between those businesses and the transport or shipping companies. For many years now, this has been a process of often unplanned communications, with messages being passed between the different parties, going backwards and forwards multiple times, which could involve email messages, telephone calls, paper documentation, scanned copies, electronic documentation, or even text messages. This means that one of the problems facing a logistics manager for a business, or the freight forwarding operators, is that a substantial amount of time can be wasted by this type of communication. There can be time lost simply waiting for a response, or even having to keep on going back to information to check it before responding. Clearly, this is not an efficient way of doing business and will often lead to a sense of frustration for all involved. However, this is not necessarily caused by any particular entity involved in the activity. There can be a range of factors that will lead to the need for communication. Even when the arrangements for a shipment have been finalised, there is still the need for the business to try to keep up to speed with what is happening with their shipment so that they can be confident it will reach their client in time. Things can go wrong, and it should be possible to quickly identify when this happens and then be able to do something about it. In the current digital age, it should not be possible for this information to go missing or for problems to be hidden causing unnecessary delays. If something does go wrong, there could be many hours spent searching to identify where the problem has occurred and what can be done to resolve it. By creating greater visibility of the movement of goods, having effective tracking of shipments, and being able to have this data available in a digital dashboard that is accessible 24 hours a day and seven days a week, the process will be greatly simplified. The freight forwarding industry is ready for this level of technology. In some ways, the freight forwarding and international shipping industries have been slow in delivering access to digital information for their clients. By ensuring that clients are provided with up to date information whenever they want access to it will improve communication and enable a more efficient service to be provided. The development of suitable platforms for sharing this information will ensure that clients will be able to feel confident about service delivery and also keep their own clients properly informed about deliveries. Already there are many freight forwarding operations who have created a method for tracking goods movement. They have introduced a number of digital methods to help with ensuring that information is quickly and readily available. Using barcodes and scanners with the information uploading into databases to provide immediate updates on movements is a simple but effective method. One of the problems that are faced is that the information may be coming in from different service providers and it may be in different formats. Being able to create greater levels of standardisation or by developing platforms that are able to bring this information together in an easily readable form will improve access and understandability for the freight forwarders and their clients. It will also make it easier to identify where there are problems and decide on what is suitable action to remedy the problem. It will not matter whether a customer is moving full or part container loads, using sea or air freight, they will have real-time tracking of their shipment. The other side of this development will be with the digitisation of documentation. Many people are now familiar with working with digital documentation. Cloud-based solutions will enable companies to be able to access documentation in real time and will allow for instant editing and much faster finalisation of documentation. Sometimes, there can be very little information available between the loading of a shipment from a warehouse to its delivery at a goods receiver. 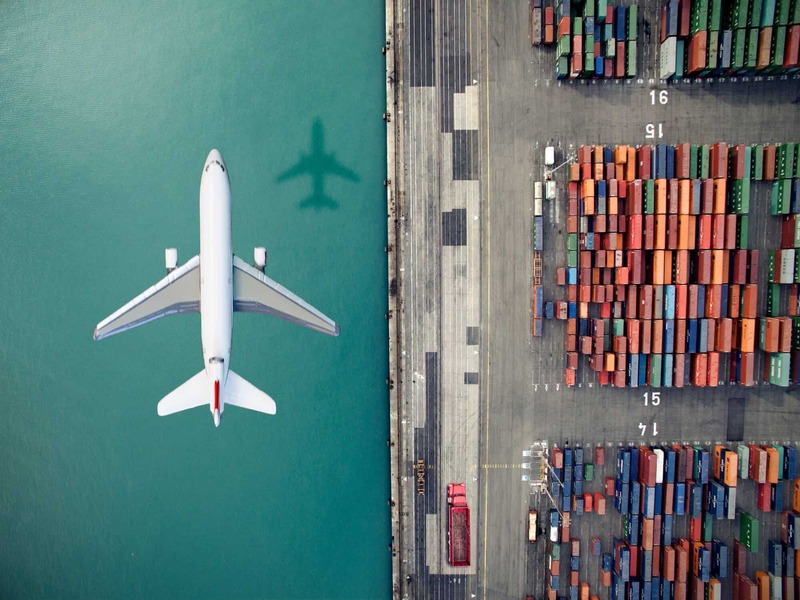 It may not be possible for the freight forwarder to have control over this activity, but there are ways to ensure that the goods are documented at certain times during the transport process. Digital updates on the shipment status are able to be accessed at any time, and if notifications are received about specific issues then this can be addressed quickly. A freight forwarder that is digitally savvy will ensure that they are able to track the movements of a shipment electronically, be able to identify where there are delays, and be able to move quickly to resolve any problems. At Stockwells, we understand the need for our clients to have visibility. We have the systems and technology to provide track and trace solutions that are able to be accessed by computer or handheld devices. If you have local requirements such as shipping from Australia to New Zealand, or you have a longer and more involved international shipment in mind, contact us at Stockwells by calling 1300 786 468 to find out more about how we can provide you with highly effective shipment.